Between the proliferation of Mac and Linux systems and the move to cloud-based resources, the IT landscape has witnessed a tremendous amount of change over the last two decades. With changes like these, can IT organizations continue to manage their modern environment with the long-time leading identity provider, Microsoft® Active Directory®? Or, should they look to cloud identity management solutions like Okta? 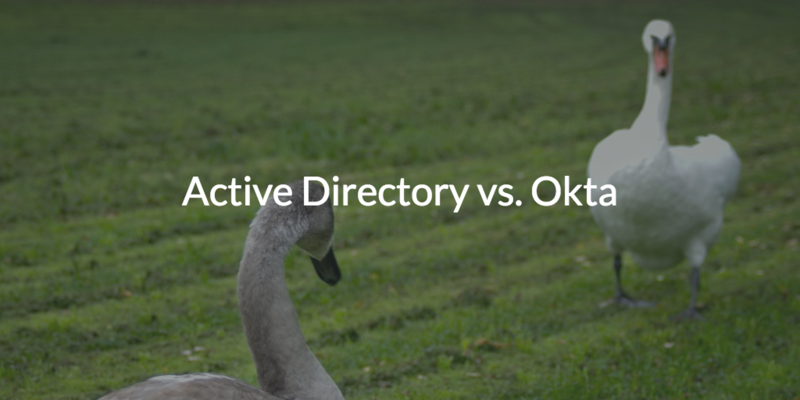 If you’re in an Active Directory vs. Okta situation, how do you decide which solution is best for you? Well, in the case of Active Directory vs. Okta, it’s pretty easy because they are two very different solutions. Comparing them would be similar to comparing apples and bananas because AD is a core identity provider, while Okta is a web app single sign-on (SSO) provider. So, let’s take a closer look at Active Directory vs. Okta and the difference between an identity provider and a web app SSO solution. In general, Active Directory is focused on being the primary user store for an organization while Okta is meant to be the web application single sign-on portal for users. In fact, the two integrate tightly whereby Okta receives Active Directory identities, which it can subsequently federate to web applications. This approach to identity and access management has been a staple for the last few years. Because AD has been the directory services solution of choice for many years, Okta really had no other option than to build its solution on top of Active Directory. So, IT admins have leveraged the two in combination for a number of years because it solved their problems. With Active Directory, IT admins have been able to control Windows®--based systems and on-prem applications. 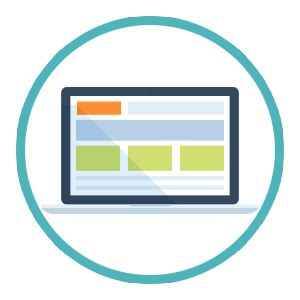 By integrating Okta with AD, they gained the ability to federate access to web applications. IT admins would simply add users in AD and those would be passed through to Okta. For many organizations the combination of AD and Okta is working for them, but a whole new generation of organizations are struggling with their IAM approach. The challenges that many modern IT organizations are facing don’t necessarily have anything to do with the IAM solutions, but instead, their struggles are a result of having vastly different IT environments. Instead of Windows systems and applications, end users now have Mac® and Linux® systems with a healthy dose of Linux-based applications. AWS® and GCP are the new data center with servers hosted in the cloud. File servers are being transitioned to more cost-effective solutions such as Samba file servers and NAS appliances. Internet access is being driven through WiFi rather than wired connections. All of these changes and more are driving the need for a different approach to identity management. 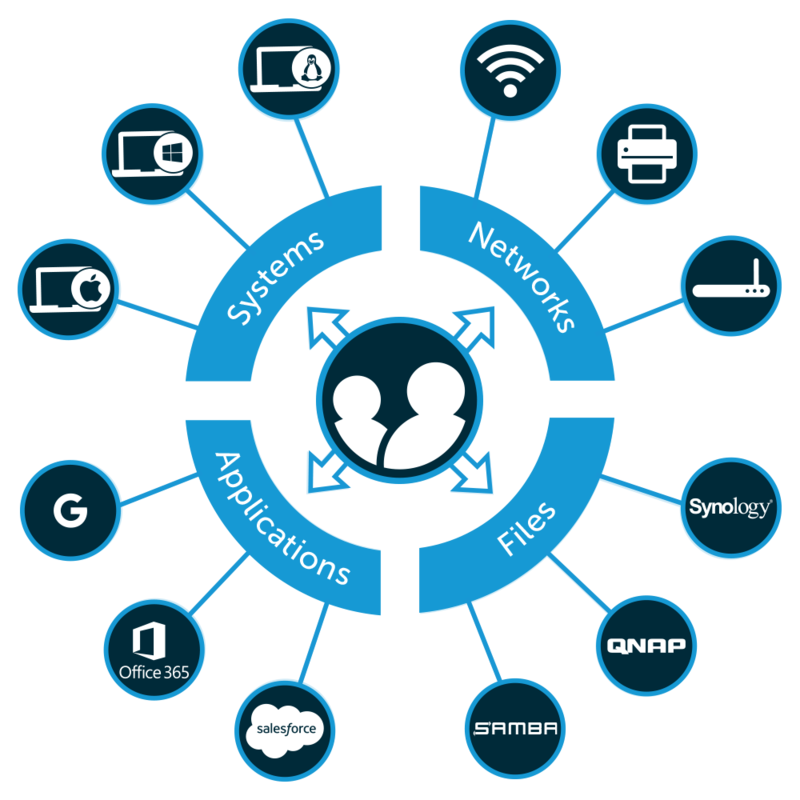 A new generation of cloud identity management solution is available that securely manages and connects user identities to the IT resources those users need including systems, applications, files, and networks. Called JumpCloud® Directory-as-a-Service®, this cloud identity management solution is enabling IT admins to eliminate their multi-solution approach in favor of one comprehensive platform. 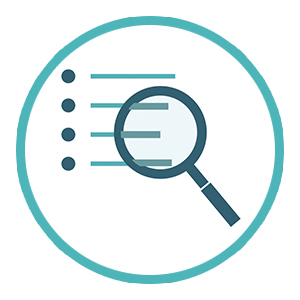 JumpCloud’s comprehensiveness is achievable in large part because JumpCloud takes an independent approach that makes it possible to centralize access to virtually all of your IT resources, regardless of their location, protocol, platform, and provider. This allows IT organizations to provide their end users with a single identity that is connected to every digital asset they need to do their job. IT admins benefit by being able to securely manage their entire IT environment from a single pane of glass. Whether your environment is still on-prem, all in the cloud, or a mix of both, JumpCloud Directory-as-a-Service can help you efficiently manage authentication and authorization to all of your systems, apps, file storage, and networks. Do you still have some questions regarding Active Directory vs. Okta and how JumpCloud fits into the equation? Consider watching the whiteboard video above. It offers some great insights into how the IAM space got started and where identity management solutions fit in. You are also more than welcome to reach out to us with any questions you might have, and we’ll happily get back to you with some answers. Prefer to get straight to testing? Sign up for a free account. You’ll have unlimited access to the platform, and your first ten users are free forever.